IndiaSoft 2017, Hyderabad - Yusata Infotech Pvt. Ltd.
India IT Show 2017 facilitates building competencies by providing Indian participants an in-depth understanding about technology, market development and demand dynamics which assists in strengthening their foothold globally. The 16th High Tech Edition of INDIA IT SHOW will be visited by Global IT fraternity including Latin America, Africa, CIS, ASEAN, SAARC, North America, Europe, Japan, Middle East, Japan, Hong Kong, Korea, etc. A truly B2B landmark event which will delight the participants, exhibitors and delegates with its persona and character. 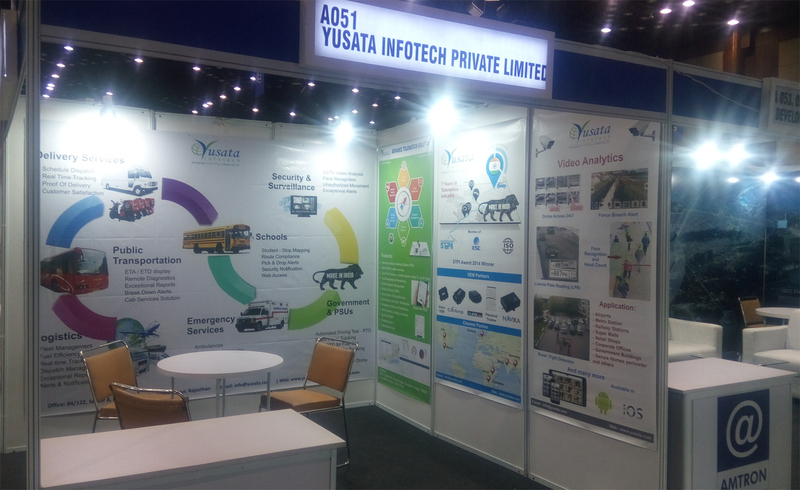 Yusata Infotech is participating at the INDIASOFT 2017 event as an Exhibitor promoting our break through solutions in Telematics and IoT domain. It has been trend for us, to present innovative solutions to the Global IT industry in focus domain areas, like - Crash Technology, e-POD, Exam Paper Box Tracking Solution, E-locks, and many more. We humbly invite representatives from sectors - Transportation, Service, Delivery & Dispatch, Courier, Schools, Government, corporate to visit our BOOTH # A051 and experience the array of suitable services. The Venue is: Hotel Novotel, HI-TECH City, Hyderabad. We are looking forward to meet you at our booth no A051 in Hotel Novotel, HI-TECH City, Hyderabad 2017.